Do you know the actual Pros and Cons of working in big multinational companies like Facebook and Google? Which organization you would prefer to work for either its Google or Facebook? Let’s find out the inside information from big employers of world Google and Facebook and know how the employees of these big companies actually feel and think about their companies working environment and conditions. According to the latest survey report from online career community Glassdoor it has been observed that Google has beaten the Facebook in average employee satisfaction report for the first time since 2008. Google is actually scored a 3.9 average employee satisfaction rating for 2012, edging Facebook’s 3.7. Both figures were down from last year, when Facebook’s 4.2 edged Google’s 4.1. 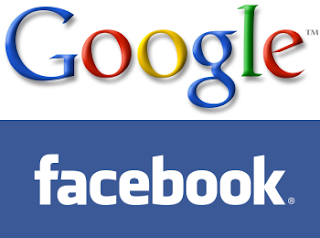 If you want to know more information and news on Facebook and Google employee satisfaction like Employee’s Salaries difference between Facebook and Google, Perks and Benefits difference between Facebook and Google, Interviews Criteria difference of Google and Facebook, Employees Satisfaction difference between Facebook and Google etc. etc. You can check following Infographic to know all inside news and information on Facebook and Google.